Yevgeny Kazmin, a co-owner of Ukraine’s KVV Group, which owns Latvia’s insolvent steel company KVV Liepajas Metalurgs, has filed a lawsuit against Latvia with the International Centre for Settlement of Investment Disputes (ICSID), information on the center’s official website suggests LETA. Ukraine’s KVV Group warned already last year that it is going to complain about Latvia to the European Commission’s anti-monopoly and corruption prevention committees, which could result in a fine of EUR 150-300 mln for Latvia. KVV Group also said it might seek justice in an international court over the Latvian steelmaker’s insolvency. Now, Kazmin is suing Latvia in the ICSID. His application has been registered on February 3, with the Legal Department of the Latvian State Chancellery named as the defendant in the case. Lita Juberte-Krumina, a spokeswoman for the State Chancellery, confirmed that the metallurgical company’s application has been registered with ICSID and that the State Chancellery as the institution in charge of handling the case is taking the necessary steps to defend Latvia’s interests. Citing interests of the case, the State Chancellery declined to elaborate. 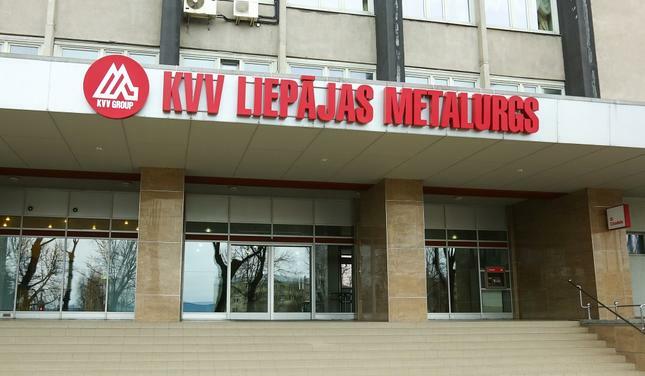 As reported, the Liepaja Court declared KVV Liepajas Metalurgs insolvent on September 16, 2016. The government in May last year rejected the debt restructuring proposals by KVV Group, the Ukrainian owners of KVV Liepajas Metalurgs, saying that the proposals envisaged significant participation of the Latvian state in the metallurgical company without handing over control over the company, tax discounts and other measures that might be interpreted as unlawful state aid. The government also authorized the Latvian Privatization Agency (LPA) to establish a company, FeLM, to which the State Treasury will assign its claim against KVV Liepajas Metalurgs. The steel plant owes EUR 65 mln to the Latvian state. KVV Group said it was preparing to sue Latvia in the European Commission’s Anti-Monopoly and Corruption Prevention Committee, which could lead to Latvia being hit with a penalty of between EUR 150 to 300 mln. or claims to KVV Liepajas Metalurgs total more than EUR 116.587 mln. Of these, claims by 19 legal entities for a total of EUR 88.287 million were found to be substantiated but five legal entities claiming altogether EUR 27.577 million have been asked to submit additional documentation. The insolvency administrator has also received claims from 395 employees of KVV Liepajas Metalurgs totaling nearly EUR 722,800. The total amount of secured creditor claims is EUR 86.935 mln, and the claims by unsecured creditors add up to EUR 29.652 mln.